We are not restricted to rigid cleaning regimes. At Daily Poppins we offer complete flexibility enabling our customers to build a service around their own particular circumstances. We recognise that cleaning needs do change whether it be guests staying over or an unwelcome accident in the house we have systems both manual and automated, built in to accommodate this. We can easily provide a service to include the changing of bed linen, a clean of your internal windows, an ironing service with all garments ironed and returned to their specific wardrobes once ironed and much more. It is for you to decide on what you need. Our friendly staff will follow your instructions and take care of it for you. 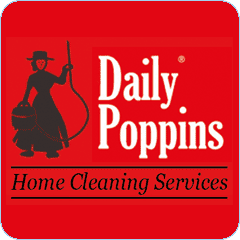 I have for the first time used Daily Poppins service today and am absolutely thrilled with the results. Every penny was well spent. What a lovely feeling coming home from work knowing I didn’t have to do the housework! Thank you so much. I am very glad I found you.